Expanding into several different new markets has challenges that only the most well positioned and structured companies can achieve. Having covered the growth of Intel over the last ten years, the nuances of how Intel has expanded over the last 2-3 years require more analysis than ever before. The goals of each of Intel’s different business units, aside from making the company money, are multi-faced and sometimes orthogonal – sometimes as a journalist it makes life easy to be hyper-focused on one segment of the company! Nonetheless, the strategy of all the different businesses and markets that Intel is pursuing becomes a very complex interweave, structured from the top down. Unified across each business unit is the strategy, indicating where and when Intel can deploy its resources to the benefit of product, customers, and shareholders. 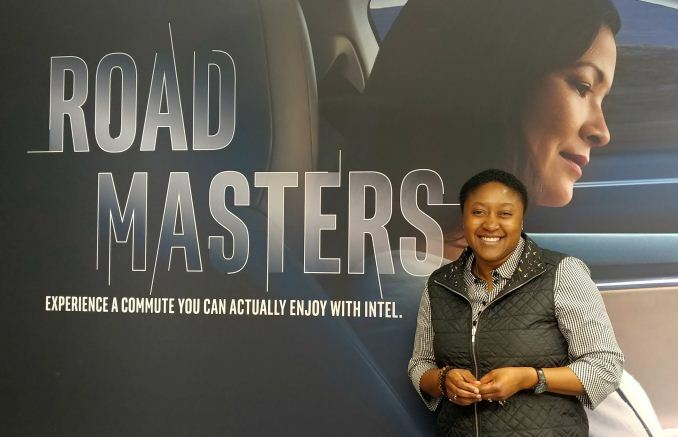 Leading Intel’s strategy is Aicha Evans. Aicha Evans has afforded AnandTech several interviews in the past, especially in her previous role as GM of the Communications and Devices group, shaping Intel’s role in baseband technology. As explained in the interview, her new role is to be part of something much bigger, and manage the ecosystem, as Chief Strategy Officer. Moving from being hyper-focused in RF and connectivity to weaving the narrative about Intel’s long term goals across the range of brands is not a career for the faint hearted, especially as the arms of Intel look to grab market share in 5G, in Artificial Intelligence, Cloud Computing, Automotive, Neuromorphic/Quantum Computing, feature enablement through new process technologies, partner relations, and looking at how should approach the next waves of technology. Ian Cutress: So tell me about your new role - during our press event live blog, you were on stage and some of the comments were "I thought she had left Intel?" Aicha Evans: I LOVE IT, that is really cool because that means I'm quieter in my corner and that's cool. No I haven't left Intel! My new role is a lot of fun, it is different, and I'm learning again. You know my history here, and for 9 years I really did not look at the rest of the company at all, and we didn't have much interaction. We really started intercepting with the company on process when porting the modems over, and we attempted to make an IA-based SoC SoFIA, but that was basically 9 years of not having deep interactions. We were very focused in those 2-3 years of attempting to do all those things, while learning a lot, but also learning for the company in terms of why we had missed mobile basically, and why we had so many issues there. So now the last 6 months really learning about the data center, learning about AI, learning about the competition. Previously I didn't need to pay attention in this space, to AMD, NVIDIA, or others, or even different competitive environments, especially with the cloud service providers. It has been really exhilarating, and then starting to sort the same concept that we applied in wireless: Who Are We? In this case I mean as Intel the company – the ‘what’ in what are we trying to do, and providing a unified front in our corporate story. You noticed for example we are now saying Intel is a data-centric company - there's been a slight adjustment where we say that we've been PC-centric, meaning everything we did started around the PC, and diverging from there. Now we can get to the explosion of data, and how do we focus on becoming data centric. My role is working a lot on that! Q: Intel has clearly transitioned into that unified message for the company, rather than each of it saying its own piece. Is this something that you have particularly driven, or one that you have had to pick up and maintain? AE: It takes a village, right? You know that I never take credit for anything - it takes a village, but definitely there has been quite a few of us. One of my pillars is if you don't have a single story that everybody understands, one that resonates with everybody, and one where everybody understands how they fit into it, then you got a mess. You might as well be different companies. It was the same in wireless. If you noticed last year we were very end-to-end in our messaging - it wasn’t just focusing on this or that. My team is also working very closely with the CFO so that our investments, our earnings, and basically our entire messaging and how we operate the company is centered around that message and that view of the world. Q: We have historically seen Intel as a manufacturing company - the big prowess is in high performance semiconductors. But the messaging has changed, especially with say the keynote back at CES - Intel likes to talk more about implementations of its technology and the potential use cases or the customers involved, rather than focusing on its historic strengths. How do you balance that sort of strength with story? AE: We are transitioning. Manufacturing is still at the core of the company, but before you ask about the next generation of manufacturing process (10nm), I’ll say that it is getting harder, it is taking longer, it is more expensive, and so we're dealing with that. We're very proud of the fact that we have always figured out a way to get through it, but it's getting tough so no question about it. Within that, we have to make adjustments. But at the same time, the reason we talk about high performance is that you have to look at it from our standpoint - high performance has been driving the ecosystem. The reason you're hearing us talk about the new use cases, and the stories about them, is because we think we're at a transition point in computing. This foundation points are around emerging technologies such as artificial intelligence and 5G in terms of overall infrastructure and the network taking on the machines. It is also around specific compute as well, like accelerators meaning that a GPU is not just a graphics engine, it is about parallel workloads, essentially an accompaniment. There is no secret that a lot of the workloads we test come from the cloud service providers, and some of them are evening rumored to be going in to silicon themselves. So for our messaging, yes we are acknowledging we have some issues, but at the end of the day, where all these cases are going, it is very favorable to high performance compute, which we are good at. This is part of the reason why that we’re cleaning up our story and making everybody understand internally and externally that outside of the PC is not just about the individual parts, but it's the sum of the parts that is important. Otherwise, if every single division at Intel has to compete as a separate business, then good luck to all of us! Also for the story is the connection through the data center, from cloud to network to edge to devices, that all these things have something to do with each other. We have acknowledged that manufacturing is tougher right now as you're going to the smaller geometries, we'll see what happens with EUV, but still let's not forget that while we're fixing all of this and doing all of this practical stuff, there is a new wave of technologies coming that are process independent, and this time the wave favors us on high-performance. IC: A lot of these evolving news cases fall (very happily) into high margin environments! AE: Yes, there are big dies, they require a lot of compute! I tell people, even those who are not in technology, to not be confused with all this AI stuff, like Alpha Go and what have you - the algorithms are not new and we just didn't have the compute power. Now we do and that's good for us. Q: A lot of the tech press focus on the consumer aspect of Intel, and a lot of what we've just talked about is for the enterprise and the high end which is kind of unseen to the consumers, but enables consumer use cases. How can Intel translate what it's doing on the back end to something that everyone can understand? AE: It is our biggest challenge. This is why our projects, like enabling 5G at the Winter Olympics, was not just to power the Olympics – we are practicing where a lot of these technologies will resonate, and for some we haven't figured that out yet. I think that it is our job to figure out a simple way for the consumer to understand that what's going on behind the scenes and what is enabling them. I mean even in mobile, we missed the device, but at the end of the day on the other side of every smartphone is probably an Intel data center. But we haven't figured out how to tell that story yet. The good news is we realize it is a challenge, we accept it as such, and probably you will see me a lot. You might still get tweets, but I’m still at Intel and part of my job is to figure out to help bring that story to the consumer, and do it with pride! The consumer has to understand that if these technologies are not available, they won't get the experience either, but it's a challenge to tell that story. Q: You mentioned that part of your role means taking a step back and looking at the competition at the field. Can you go into detail sort of how you do that, how you are leveraging Intel’s company resources, and how do you apply a personal look into that research? AE: The data is the data, right? I always say there is a difference between data, information and story. I think that if you are a traditional Intel core business long timer, you are going to have a tendency to look at the data in a certain way. For somebody like me, who is totally new to the core business strategy, I'm getting at it in a totally different way. So for example, if you're doing a foundry ecosystem competitive analysis, we all have the same data, but I don't actually talk about nodes, I couldn't care less. I'm sure there are plenty of people in TMG and architecture design that are looking at that - I bring more of a ‘how do those businesses operate’ and ‘how do they build what I call an ecosystem spiral’ and what have you. When we look at a company like NVIDIA, I don't go into teraflops - lots of people can do that. I ask ‘What are they trying to do? How does that work with us?’. It is a complicated ecosystem in a lot of cases now, so you have to both compete and co-operate. How do you bring both of those aspects to the table? I think that bringing the technical community at Intel, as well as what I call the business planner kind of folks, as well as our executive management team, to the same data is important, but I derive different information and a different story and impact for Intel. For example, what NVIDIA has done is remarkable, I mean, I'm in awe of them, it's remarkable. So bringing that story, how they installed CUDA at the heart of it all, how they moved that into the HPC, and how they use parallel workloads, so it's more like extracting the potential by understanding the data. At the end of the day, I will always ask myself when I'm done, when me or my team is done with this analysis: have I caused people to think differently? Have I caused people to figure out how it impacts Intel and what actions Intel should take and are they moving on those? I'm linking things for people too, and there are a lot of these things. I always say that AI is a capability – it is not a product by itself. So that means, from a customer standpoint, for a long time if you're a very successful company and we bring out products to the customer, but there is a little bit of a transformation that's going on there. We actually have to now understand our customers and why are they trying to digitize, what are they trying to achieve, what value do they hope to provide, and then how do we translate that into what features we put in, or what services and what have you so they so can do it. Q: As CSO, do you spend a lot of your time focusing more internally, compared to say, focusing on what partners should be worked with? AE: I spend a lot of time externally. First of all, I moved to the Valley, and the good thing is you travel less, but the bad thing is you are at dinners all the time! It is good that you are running into people from the industry, from established super successful companies to just burgeoning companies. With the VC (venture capital) world too, you see a lot of what is being funded and what is happening. Like a lot of my meetings, even the next couple of days, I'm meeting partner companies, customers, or competitors, because I want to know what they are thinking, what they are looking at. It is a necessary part of the job. So it's probably 50/50. We look at what is going on out there in the ecosystem, so we study companies from all areas. I'll give you an example: I've probably looked at 30 companies that have succeeded in kind of getting bigger and big companies that didn't succeed. There are a lot many more of those by the way! From that, you start extracting some behaviors. Another thing is that because we have vertical business units, not everybody is the enemy, and in most cases, you have to figure out a way to compete and collaborate at the same time. That's a delicate balance and so I have to be that arbiter. There are also trade-offs, because maybe one business unit wants you to do X, the other one wants to do ‘one minus X’ and we actually have to sit down and say, given the bigger goal, what makes sense? Both answers are right, but they are not consistent with each other. 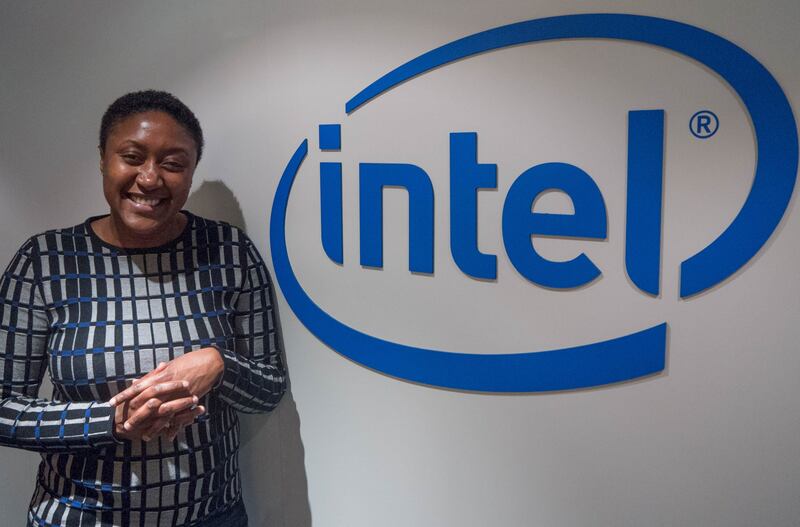 So even though I can't believe it, I've been at Intel for what is going to be my 12th year, but it can seem like I've never worked anywhere else in the company. The value that I bring is that I'm very curious about the outside and what's going on around me, and one of my colleagues called me ‘an anomaly’ in the cutest way, as I'm constantly looking at what's going on outside and why are people doing what they are doing, what does that mean and so on. Q: When it comes to mergers and acquisitions, Intel makes a good number in a given year. What role, as CSO, do/will you take on those? AE: I am involved, and there's an M&A team that is responsible for M&A execution, but usually there is a sub team of us - a few senior executives. We talk about what we're trying to do, why we're trying to do it, what are the possible targets, and what's going on in the ecosystem or who else may want them. I mean it is literally a playbook and game board. From there, at the end of the day, over a certain threshold the decision is first and foremost the CEO’s decision, and then over another threshold we have to go to the Board. But we ask a lot of questions - are we buying market leaders or secondary players, are we buying disruptors, and simply why are we doing this - is this complimentary, what are the financial goals in the short-term, mid-term, and long term, what type of integration, and so on and so on. Q: I was going to say, you obviously have to manage the synergy - would that be a part of your team strategy? AE: We have a sub-team and I have a lot of influence on that, but we do it as a team. One of the things about this role, and I come from an operational background where I never have had total control, but you know, when you have engineering, you have the business unit, and you have the customer relationship, then you have everything. When you take a role like this, the art of influencing others in a way that feels good to them is key. That's why you're going to hear me say that I don't do anything: my role is more of an orchestrator, a conductor, and an enabler, with a very clear view of where we need to go to. I'm happy that you picked up on the cleaning up of the story, because that was probably my first 6 months! Q: Leading on from this, Intel recently hired Raja Koduri from AMD. We have known Raja for a long time, and Intel has known Raja for a long time. A lot of our readers are thinking about what he is doing. We know he is moving into the discrete GPU strategy for Intel - I want to ask about how you see it playing out, but I know you're not going to talk about the future! Can you comment on the fact that, like mobile, Intel has kind of missed discrete graphics - so by bringing Raja to the team, what are the aspirations? AE: First off, he's really gotten an awesome balance of technical, energy, aspiration and he's a good blend. In times of industry transitions like this, you need blend-y type people - you don't want people who just think a certain way. I think we've been public about the fact we're going back into discrete graphics so that is obviously his responsibility. I think we've also been public about his role which is essentially both the graphics core ecosystem, as well as the CPU ecosystem, and so we know that going forward the balance of CPU and accelerators is going to be quite interesting so all of that is under him. I think he brings a fresh perspective - he's very courageous and I think that we just have to make sure we support him and let him execute. I mean that's what I had in mobile - I had a lot of support from the company, a lot of freedom, at least some of the goals were able to accomplish pretty nicely. Some we didn't accomplish, but at least hopefully the company learned something from it, and the same thing has to be with him. What I like about Raja too is that he understands graphics is not just some core or engine, but there is a graphics ecosystem. He has wonderful analogies about discrete graphics compared to integrated graphics or sort of a GPGPU type function, and because he's charismatic and he comes from such a pedigree, I think the engineers are very excited to have him and so there's almost an infusion of energy there. So basically, we have to give him space and time to execute. IC: So as CSO you can essentially wind him up and let him go? AE: We spend a lot of time together! We actually teased each other because we seemed to be the only two senior executives at Intel who didn't go to CES. So I was in the cafe and he was like, ‘Oh, you're here!’, and I'm like ‘Yeah, it's like you're not at CES, everybody is here!’. So we have spent a lot of time together and so you know, we're going to help him and support him. He also understands the fundamentals, or what I call conceptual fundamentals, because when you're in the trenches sometimes you're cutting trees and you forget to ask yourself if you are even in the right forest. So one of the things that he understands is just because you integrate something and you have large market share, doesn't mean you should ignore the discrete. Because in a way, the more you are integrating, and the more you are successful, if there are other people in that space and they are still in business, what are they going to do - they are going innovate on the discrete side, because that's just natural behavior, right? All of a sudden, you are more constrained because you have schedules, products, rhythm and whatever, while over there it's pure innovation and we know what happens when that happens. So we are set to support him and make sure he executes. Any time we introduce someone enter a bigger machine, like Intel, make sure we have him navigate and so on, but I'm super impressed. He is fun too by the way. Q: He has hit the ground running, would you say? AE: Oh immediately. I mean he was literally having I think his second meeting at C-level and I was like dang, I'm gonna like him. He asks questions, and he's very humble too in the way he approaches things. From day 0, he was involved, and the engineers like him - that's very important. He is also in charge of all the developer facing software as well. Many thanks to Aicha and her team for their time. Thanks also to Gavin Bonshor for transcription. I feel it is a rumor spread by Apple to threaten Intel for better pricing and/or performance. The threat is credible due to AMD's 7nm chips and integrated graphics that Apple wants. I guess Intel knows it for a long time, taking Raja Koduri recently. It's not gonna be about perf, it's about efficiency as devices get smaller- think glasses and beyond. Data is so 5 years ago, looking forward it's about intelligence, not the old one ofc. The first question I would have asked is how is Intel gonna be in consumer in 10 years from now, PC sales will be 0 and Intel does not know how to compete, in a free market. If they want to be in consumer, it's far from certain. Second question, how does it make sense to keep the fabs if all they do is to follow the same path as everybody else, this race to nowhere. The ROI is not there anymore, it's silly to go 5nm and 3nm and w/e, disruption become inevitable as the industry keeps pushing on the wrong path. Either innovate or spin them off. 3rd- How do you shift Intel form prioritizing its own interest, to serving the customer. The claims that they are serving the customers are nonsense, they focus on maximizing profits at the customer's expense by abusing the x86 monopoly. They can't survive if they don't learn to do more. 4th- Her process seems to be reactive, how do others do it. Maybe Intel should ask, what is nobody else doing. Doing something better than others is ok but it's much better to do what others aren't, that's innovation. I assume that if you are capable of picking a problem that's relevant tomorrow you'd be out solving it rather than posting on AT complaining that no-one else is doing so? No, we don't. There's limited market space and it's well covered by other manufacturers, and there's not a compelling use case for glasses at the moment. "we need glasses" is focussing (heh) on a solution without a problem. We have all of those things already. Loads of SoCs available at 100mW but they aren't really useful for GP computing at the moment, even the RPi Zero consumes half a Watt. Funnily enough what's going to be useful is more efficient fabbing to produce more efficient chips - but of course you think it's silly to go "5nm and 3nm and whatever"
There's also a market for 300W "pancake sized" silicon - if nothing else because the "pancake size" allows them to dissipate the 300W more efficiently. The ideal is to do more with your 300W "pancake sized" silicon - as efficiently and effectively as possible. What? Why? That just means if you need gobs of CPU you need to buy huge amounts of storage and if you need loads of storage you need to buy vast quantities of CPU. That's a ridiculous suggestion, it's the worst of all worlds! So you *do* want them iterating on fabbing technologies and trying new ways of doing things? Oh good grief are you saying Intel should focus their R&D on dataflow architecture? The thing which like commercial fusion has been purported for years but strangely no-one has made it work even remotely well enough to substitute for conventional computing? Spoken like a true layman. Why waste all that money on looking at iterating existing processes when you can just switch to a new one - never mind all the work needed to figure out what the best way of doing it will be. Says the man posting on a website hosted in, ooh what is it? Could it be a datacentre? I think it might be! "'we need glasses' is focussing (heh) on a solution without a problem."